SIL staff were hosted and funded by BHL Africa (via the JRS Foundation) to conduct a full BHL training workshop for staff from participating BHL Africa institutions. 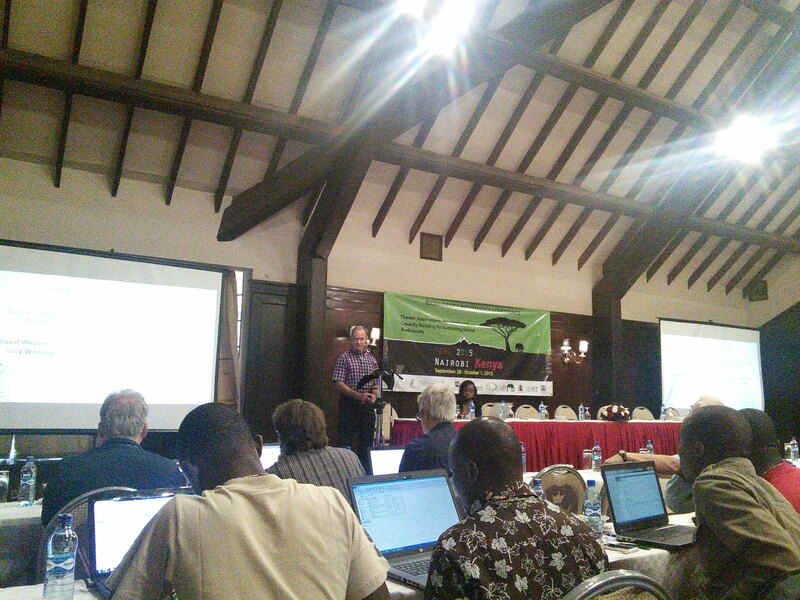 A total of 15 people attended the three day session and represented South Africa, Uganda, and Kenya. SIL staff were assisted by Anne-Lise Fourie (BHL Africa/South Africa) and Lawrence Monda (Nationa Museums of Kenya, NMK). 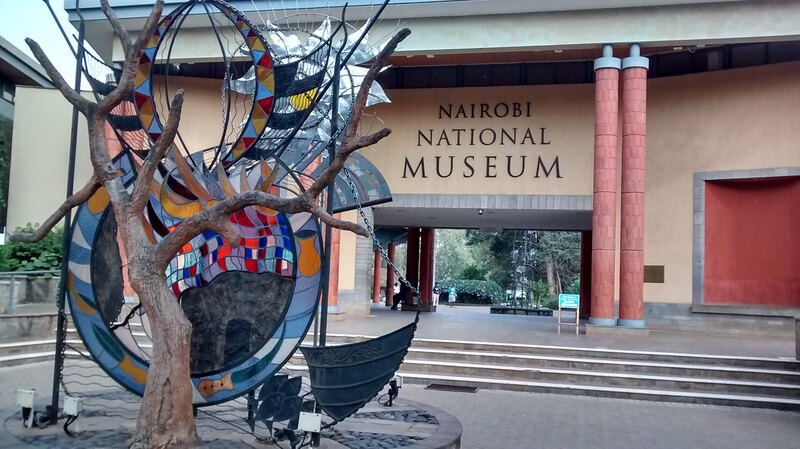 The workshop included an earlier set up day; we were able to tour the grounds of the Nairobi National Museum (location of the workshop and HQ for the National Museums of Kenya) where we ran into Scott Miller. Dr. Mzalendo Kibunjia (Director General of the NMK) and Geoffrey Mwachala (Director Research and Collections, NMK) opened the sessions and welcome the group to the NMK. Security throughout Nairobi was oppressive. There were car checks before entering facilities such as hotels, shopping malls and the museum. You also had to pass through a metal detector before entering the hotel and run bags through an x-ray machine. Likewise, in all shops, you went through a metal detector and physical pat down before entering. Traffic was horrendous with a 1-2 km trip often taking 30-45 minutes. Attending from the Smithsonian Libraries were: Martin Kalfatovic, Carolyn Sheffield, Grace Costantino, and Jackie Chapman. After the BHL Africa Workshop, Smithsonian staff and Anne-Lise Fourie (BHL Africa) took two days leave to visit the Amboseli National Park in far Western Kenya. 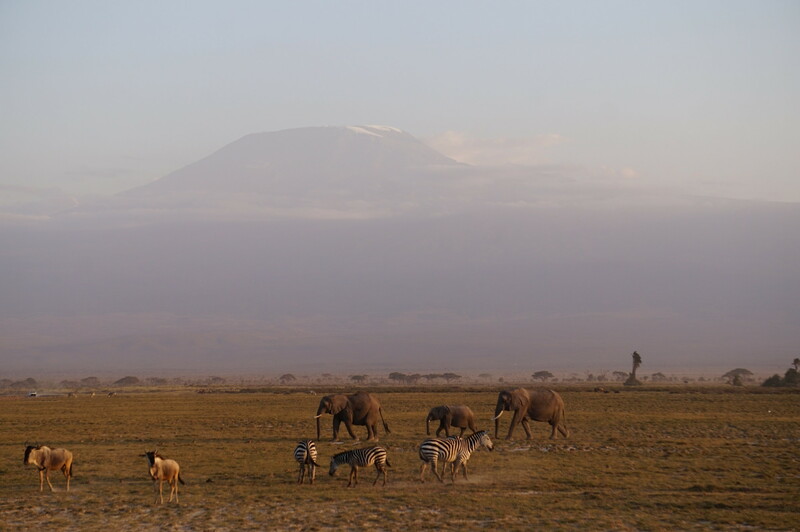 Amboseli is on the Tanzanian border at the foot of Mt. Kilimanjaro and known for its elephant herds. There is a lake/swamp at Amboseli and we were able to see the elephants bathing and playing in the water. In addition to elephants, we saw lions (including a post-kill zebra feast), wildebeast, water buffalo, hyenas, zebras, giraffes, antelope, impalla, warthogs, ostriches, secretary birds, and various other horned herbivores. We had a very successful TDWG this year. Overall, the program was very well run. The conference was held at the Windsor Hotel and Golf Resort, about a 30 minute drive from the Central Business District. The complex was very secure with armed guards and car checks anywhere inside the walls. The SIL group had a multi-room cottage on the grounds overlooking the golf course and were visited by a troop of monkeys in the morning and evening. The BHL symposium was held on the last day of the conference as the very last session. Normally this isn't a great spot, but since it was a very captive audience, we had nearly 100% attendance with about 137 people in the audience. Participating in the BHL symposium (in addition to the SIL staff) were William Ulate (BHL Technical Director) and Anne-Lise Fourie (BHL Africa) TDWG Chair, Cyndy Parr (now at NAL formerly of EOL) told me afterwards that one of the board members of the hotel did a day registration just to attend the BHL session. The hotel is very eco-friendly and has an actively managed environmental program. Jackie Chapman presented the poster that she and Robin Everly had done for the recent fern conference at the Smithsonian and it was well received. At the request of Scott Miller, Carolyn Sheffield and I took a side trip to meet with IBM Research Kenya. The research facility was located about an hour drive from the Windsor on the other side of Nairobi. We spent about an hour with the engineering and project staff (25 people) from IBM Research discussing possible collaborations and research projects that the IBM team might work on. Attending from the Smithsonian Libraries were: Martin Kalfatovic, Carolyn Sheffield, and Jackie Chapman.